Alan Rickman, who just passed away at the age of 69, leaves behind so many iconic performances that it’s impossible to pick out a favorite. Snape in Harry Potter, Hans Gruber in Die Hard, Alexander Dane in Galaxy Quest—everyone’s done an impression of at least one of his roles. “By Grabthar’s hammer, by the suns of Warvan, you shall be avenged!” is going to be said a lot today. While Rickman’s filmography is as varied as one can get—comedies like Dogma, romance in Sense and Sensibility, adventure in Robin Hood: Prince of Thieves—his villains loom large in pop culture. 1988's Die Hard ensured that, as he set a new standard for intelligent and urbane villains that even that franchise was never able to recreate. The meeting between Gruber and Bruce Willis’ John McClane was added to the film because of Rickman’s ability to do an American accent. 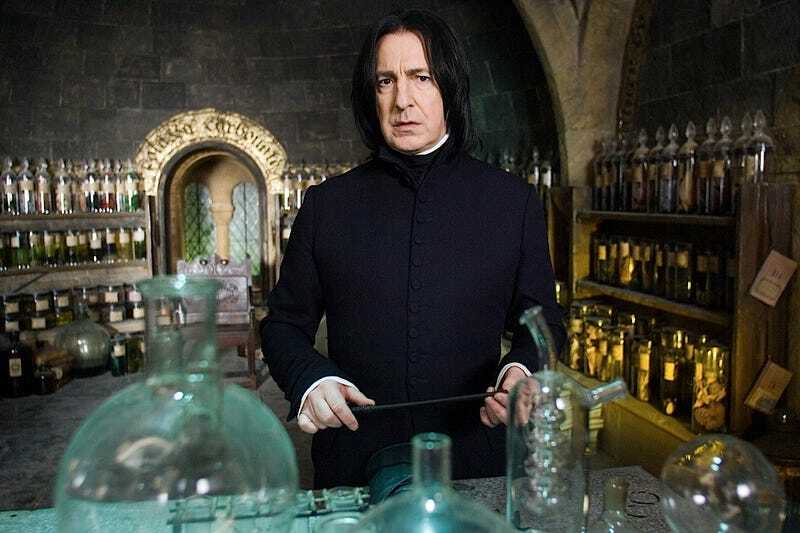 For the next generation of film goers, Rickman’s mark is as Severus Snape in the Harry Potter films. He was J.K. Rowling’s personal pick for the role and he was one of the select few who she talked to about the direction the books would go in. Before the fans got to read about it, Rickman was already playing Snape’s motivation. If a character was, at least on paper, a criminal or unpleasant or mean or evil, Rickman’s performances also made them the stars. Robin Hood: Prince of Thieves isn’t a good movie at all, but Rickman’s Sheriff of Nottingham is delightfully twisted. He did. He played funny people, angry people, people in love, people in pain. He played everything under the sun and it still seems like we didn’t get enough.